As parents, we know there’s easy days and there’s tougher days. We all face our own individual trials, tribulations and daily challenges because well, let’s be honest, kids can be tough sometimes! After all, they are kids and they are here to teach us too! But imagine if these small, occasional, day to day struggles we encounter were amplified and constant and happened every single day? Meet Monique Cain, a local peninsula mama to Madi and Thomas, a loving wife, part of a family business and now, a renowned author of the insightful, informative and popular books, “The Everyday Autism Series” – shedding light on what life is like with not one, but two autistic children. 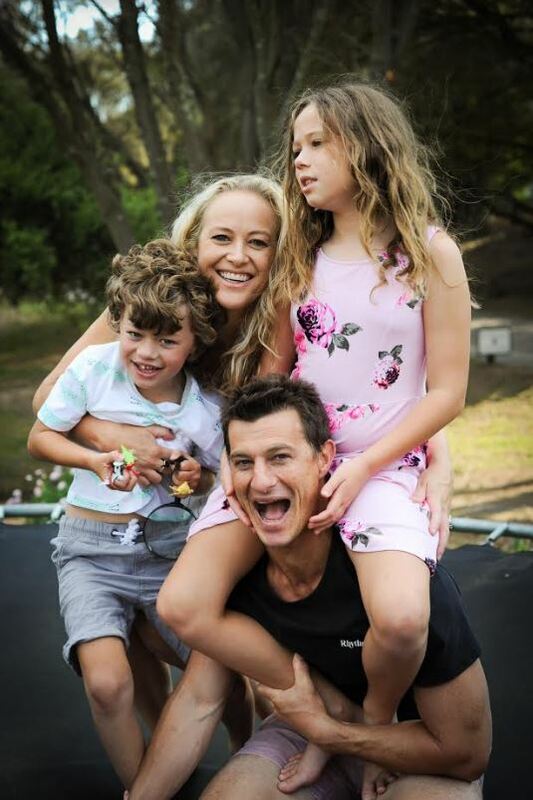 “Every parent knows that their children are special … but ours really are! 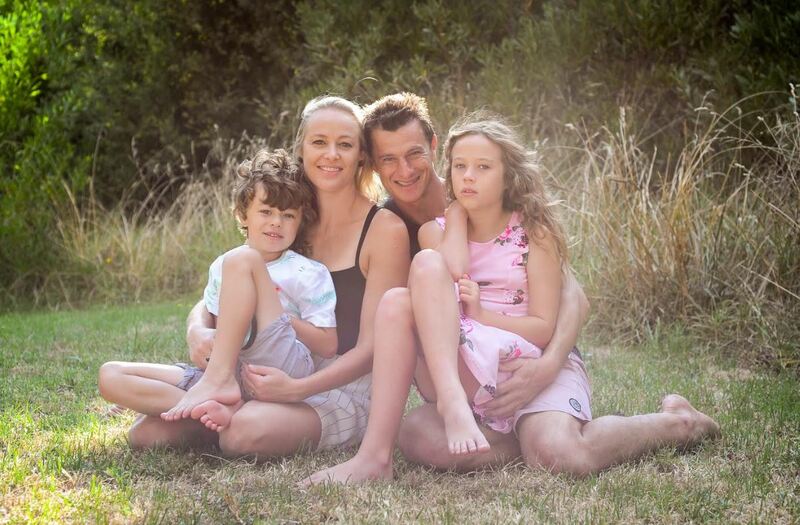 They are both beautiful, and they are both autistic.” Today is World Autism Awareness Day and so we chatted to Monique about her books and the challenges her family experiences with the beautiful but complex world of autism. MLTS – Thanks so much for chatting with us Monique, so lovely to reconnect with you after first meeting many years ago now! For those who don’t know you though, tell us a little about you and your family. Monique – My husband Michael and I met at high school and arranged to get together at a weekend party aged 16 and 17 years old, this was 22 years ago! Eleven years later we were married and shortly after welcomed our first child, our daughter Madi. Two years and 8 months after that our little boy Thomas (named after his great grandfather) arrived. This was before our lives were completely turned upside down with when our daughter’s autism was diagnosis when Thomas was just 4 months old. MLTS – Wow what an incredible partnership you and your hubby have, high school sweet hearts and now, two beautiful children. So first Madi and now Thomas has also been diagnosed with autism, what are some of the characteristics the kids portrayed that lead you to seek a diagnosis? Monique – Looking back now we started seeing signs between the age of 18 months to 2 years in our daughter Madi. She began to regress with her diet and speech. She was lining up various objects and became more isolated and uninterested in others. She also started to show signs of obsession and sensory issues. Being our first child, we were hesitant to formally react but after increasing concerns, she was diagnosed at 3 years old. Thomas seemed different to Madi. He made eye contact, sort attention and interaction but his speech was not developing. He was also showing possible signs of sensory sensitivity, always having to play with something in his hands and reacting to crowded situations. Knowing by then the importance of early intervention, we had him assessed and began therapy at the age of 2. 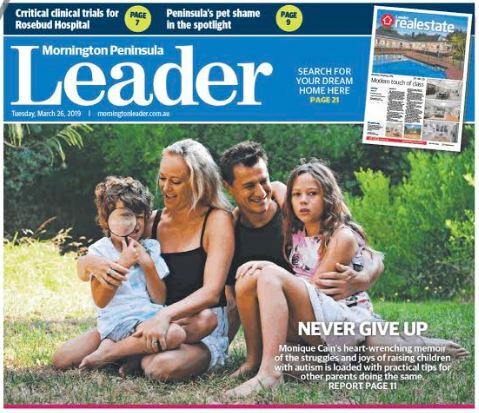 MLTS – That must have been such a difficult time for you and Michael to get your head around, especially seeming Madi showed no signs of autism until she was almost 2 years old. Can you share with us what some of the day to day challenges you have with the kids that other parents might not experience? Monique – Every aspect of life has been hard. Although both kid’s speech has progressed, we are still unable to hold a proper conversation and they can’t verbally express how they are feeling or why they are upset. They are both strongly affected by sensory stimuli. They both have very limited diets and are affected by crowds and noises so public outings would more often than not result in a meltdown. Simple tasks like brushing hair or teeth has been torture. Particular clothing, socks and shoes always feel uncomfortable so we have had to slowly build up tolerances over time. Sleep has been another area hugely affected. There are stages the kids are awake and energetic for hours on end and insist on co sleeping for comfort. Requiring to complete copious amounts of forms and appointments and requiring a whole team of people to help us and our children basically learn and grow makes you feel like an absolute failure as a parent. MLTS – Monique, honestly we can’t even imagine how difficult it must be for you and your family, this is something no parent would ever expect to happen to them. How do you think the kids diagnosis changed you as a parent? Monique – We had to reduce our expectations and re-evaluate what was really important to us and our family. We have learned to be more patient and relaxed and ignore societies unwritten rules. We are not the ‘perfect family’, where our kids are fed, bathed and in bed by 7 every night, we had to do what we could to survive. We have learned to speak differently, softer and not too complicated. We try to encourage learning and development with everything we do in life, thinking outside the box. We appreciate all the little things in life, where a simple word, smile or hug is the greatest gift of all! MLTS – What an awesome lesson for all of us as parents, I think we all have such high expectations on our children don’t we. This really brings it back home to appreciate the simple things. And so a shining light has come out of this though, as you aspire to educate others about Autism. Tell us about your books ‘The Everyday Autism Series’ – What inspired you to start writing? Monique – Writing became a major form of therapy for me! I was able to honestly express my own feelings and try to make sense of them and my children’s behavior. The Everyday Autism Series began after a little boy in Madi’s kinder class said to me, “Madi was dumb and didn’t know anything”. I didn’t know what to say! Especially to a 5-year old? Her teachers would also ask how they could help or interact with her. So, a poem turned into a story and I thought if I put photos of Madi actually at kinder together with this story, people might understand her better? So, ‘Madi At Kinder’ was born. I took it to the class where the teacher read it out and everyone absolutely loved it! She said there was nothing like that out there for kids and it really helped them to understand Madi more! Madi went to mainstream school the following year and straight away I thought to show her teacher the book. The principal then had every teacher in the school read it to their class! After such a positive response, I continued writing to explain other aspects of our lives that we had found difficult. I then had them edited, illustrated and published to be able to help other children and families in a similar situation. MLTS – Monique this is such a great story. Education is just so important, especially in order to squish ignorant comments and assumptions. How amazing that you have been able to do this not only to help Madi and her peers but also to help other kids in similar situations. Speaking of which, how have the books helped strangers/family and friends to understand autism better? 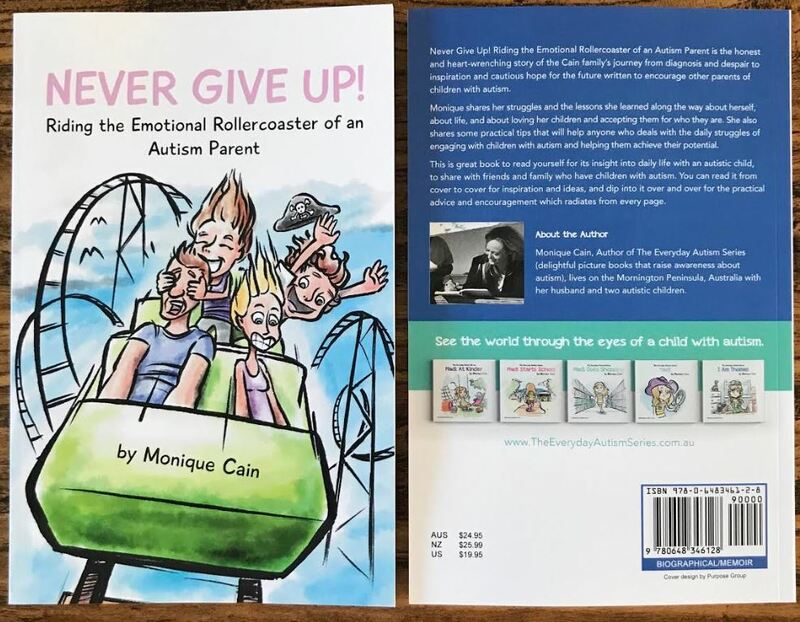 Monique – The books give both children and adults basic knowledge about what autism is and how it can affect someone and their whole family. They encourage everyone to not be so quick to pass judgement and give logical reasons for what may otherwise be seen as odd behavior. They explain that some people may just need a little bit more time to learn or a little extra help and that we are all different but deep down all alike. MLTS – That’s awesome Monique, what a great message to share. So what started as a simple idea, a poem for Madi’s kinder friends, has now grown into ‘The Everyday Autism Series’ and we are sure there is more books to come! What advice can you give other mum’s that may be thinking about starting a small business or writing a book but they are just lacking the confidence to start? Monique – I really had no idea what I wanted to do professionally. One day I just began writing down all the thoughts I had in my head. I felt the need to give my children a voice, explain their behavior and thought I could really help others from our experiences. Various signs and opportunities kept arising that I felt I couldn’t ignore. So I guess my advice is to just follow your gut and go for it. I am continually going with the flow and following new goals and dreams that I would now like to achieve. I created a brand and business that I am so proud of and feel so passionately about. It’s something that began from a little idea that I ran with, working on it whenever I could around my day job and kids. I found other passionate people to help me along the way. I just had that feeling that it was something I really needed to do! MLTS – Very inspiring. And now not only are you giving your kids a voice, but you are giving many children in the same situation a voice to their family and friends too. So you’re a busy mama, a wife, you have a family business and now you’re an author! How (when you find the time!) do you like to spend some ‘me time’? Monique – I enjoy a little time out to exercise most days. I attempt to get up early before the kids, work and school. 10 to 15 minutes on the treadmill with some weights and exercises helps me to feel fresher and stronger to conquer the day, doing something for myself, releasing endorphins. I have just recently returned to regular dance classes an hour or 2 a week catching up with friends. I also enjoy an occasional dinner and movie with my husband for important ‘us time’ too! MLTS – Yes, very good point, we need to focus on “us” time as well as “me” time don’t we? A healthy nurtured relationship is so important. And lastly, you’re a local mama from down the pen! 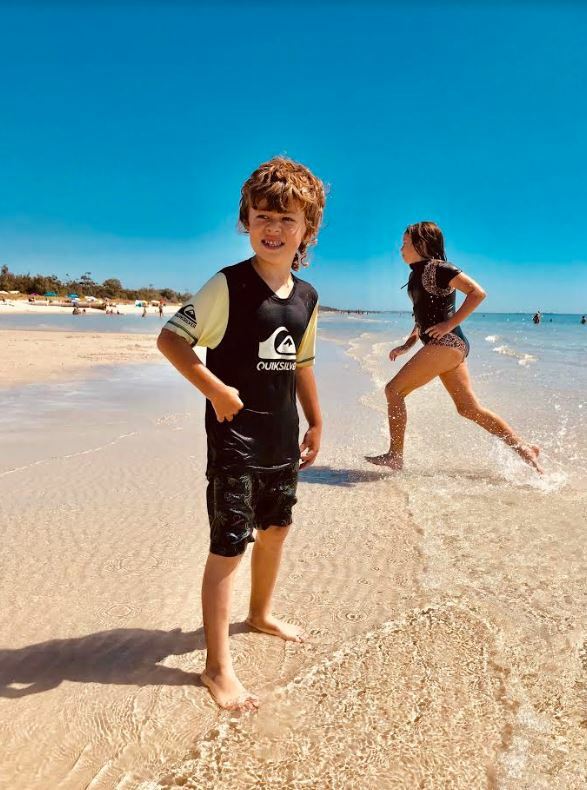 What are your fave things to do as a family on the Mornington Peninsula? Monique – We have a few favorite family things we like to do. 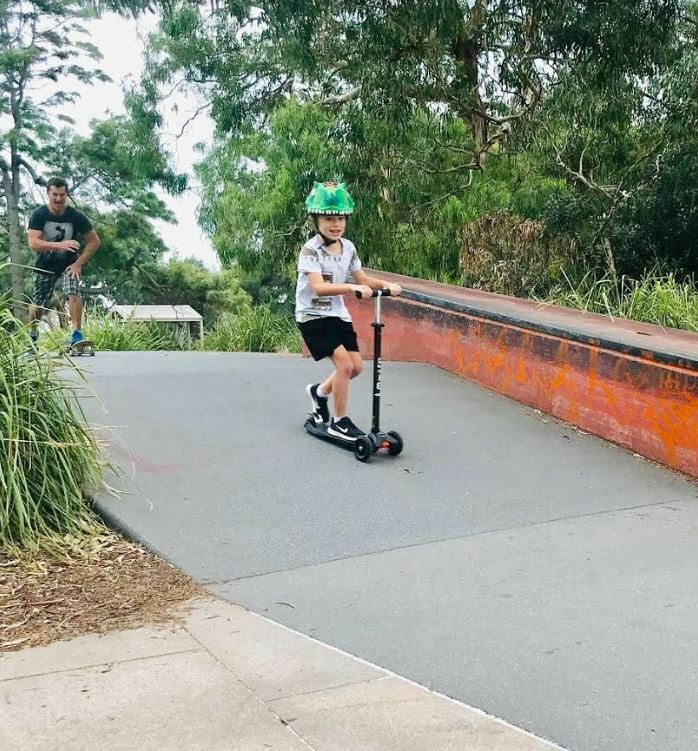 On weekends we take the kids to various skate parks in either Rosebud, Balnarring, Hastings, Mount Eliza or Chelsea. We arrive early before the crowds and all 4 of us ride scooters or skate boards together. We enjoy going for a quiet, beautiful bush walk along some of the most picturesque parts of the peninsula, right in our back yard of Cape Schanck. We all love going to the beach! 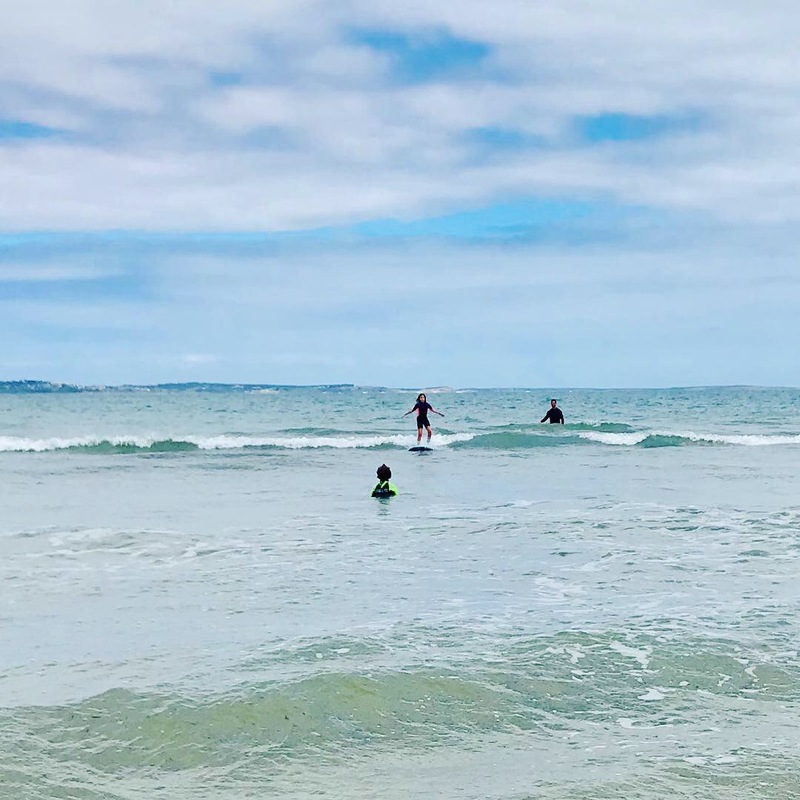 McCrae lighthouse is our fave front spot and Somers for the kid friendly surfing waves. Water therapy is a calming and relaxing option for us all. Gravity Zone in Seaford is another major fave. Lots of fun and a fabulous sensory release. That’s wonderful, sounds like a perfect weekend to us! Thanks so much for sharing your families story with us Monique. It really has been so insightful and we just wish Madi and Thomas and your entire family the very best in the years to come. You are doing an amazing job as a hard working mama, don’t ever feel like a failure, you might not think you can do it but by the sounds of it, you’re already doing it lovely. If you would like to find out more about Monique’s books, ‘The Everyday Autism Series’ you can visit www.theeverydayautismseries.com.au or follow Monique on her socials, @theeverydayautismseries on Instagram and www.facebook.com/theeverydayautismseries on Facebook.